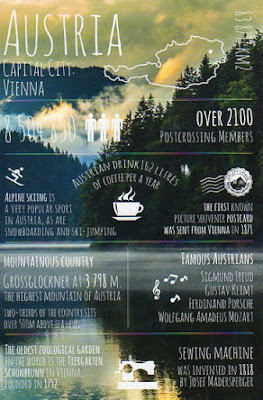 The lovely Isabella sent me this fabulous Austria as a thank you for an official Postcrossing card that I send her. I appreciate your generosity so much Isabella. Thank you!